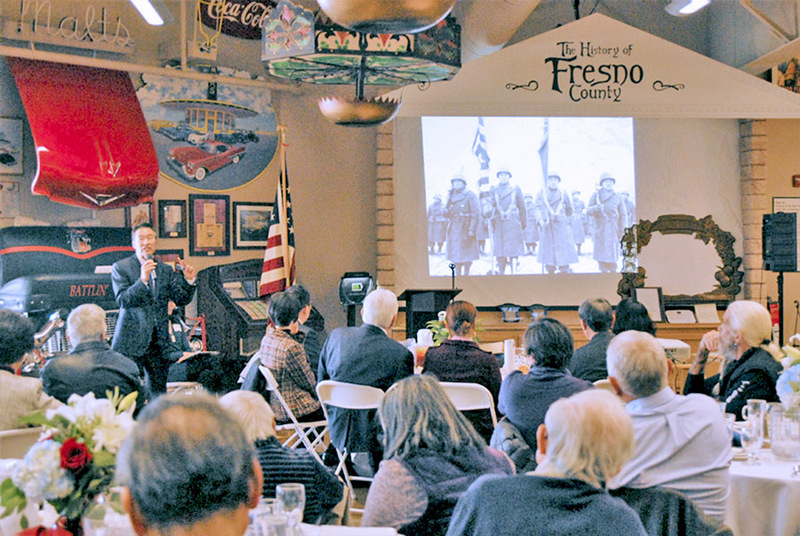 Guests attending the CCDC Annual Day of Remembrance and Officer Installation at the Fresno County Historical Museum on the Big Fresno Fairgrounds on Feb. 17 were reminded of the power of storytelling in conveying the Japanese American narrative. The event’s keynote speaker, Tom Ikeda, executive director of Densho, shared some of the stories his organization has collected over the years to demonstrate how these narratives can move listeners to laughter, tears and hopefully action. Excerpts from the Densho oral history collection highlighted living conditions and redress efforts as examples of difficult issues that detainees struggled with during and after their imprisonment during World War II. One internee recounted how barrack toilets placed side by side without any partitions stripped them of their dignity. Another internee remembered a conversation with a politician who originally planned to vote against redress legislation that ultimately resulted in a change of heart and a change of his vote. Many of the guests attending the Day of Remembrance were not Japanese Americans. Ikeda emphasized the importance of storytelling as a powerful education tool that preserves the Japanese American experience and helps us find common connections as Americans. Ikeda and Densho were presented with the CCDC Distinguished American Award for the Spirit of Education. Previous recipients of the Distinguished American Award have included John Tateishi, Sen. Barbara Boxer, Congressman Adam Schiff, David “Mas” Masumoto, Clovis Veterans Memorial District, Big Fresno Fair, Sec. Norman Mineta and Sen. Daniel Inouye, among others. The event was hosted by the Big Fresno Fair in the Fresno County Historical Museum. 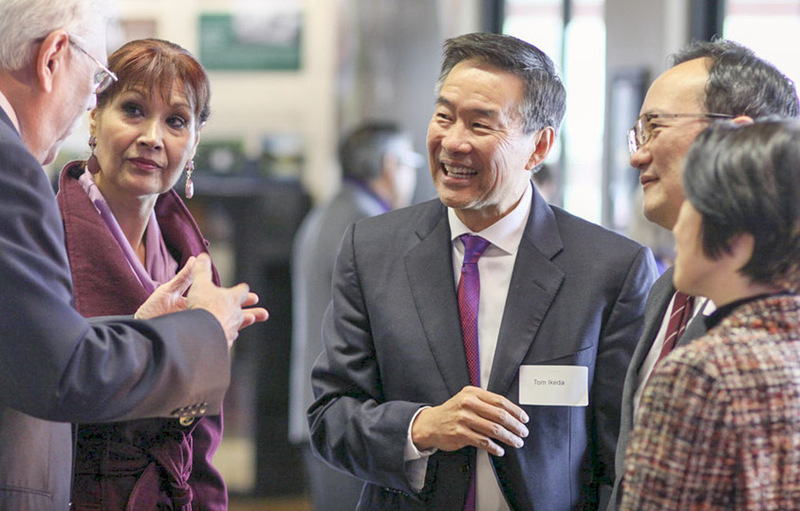 CCDC collaborated with the fair in 2015 to create an exhibit titled “Japanese Americans in the San Joaquin Valley,” which shared stories of Japanese American contributions to local history and recognized prominent Japanese Americans in the Central Valley.